It is a phrase we have all heard applied to a variety of situations. When it comes to your vehicle, this is NOT a metaphor. The safety of your family, friends and employees relies on properly installed and maintained tires. “Where the rubber meets the road” at C.A.R.S. is where you feel safe and secure. Let’s face it, tires wear out, but proper care can extend the life of your tires. In addition to computerized balancing, alignment, wear analysis, rotation, proper inflation and leak repair for your car or truck, C.A.R.S. 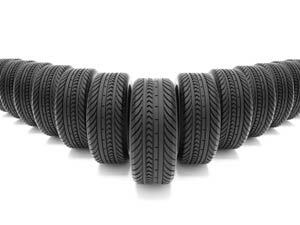 Auto Repair Service offers a full line of tires for your vehicle. 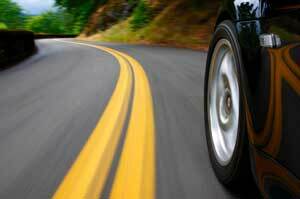 Not all problems are due to tires, sometimes it is the wheel that may be causing a slow leak. Our customers have told us numerous times that they bought new tires at a chain tire store, come to find out they were still having a slow leak in one or more tires. The store then checked the tires and correctly diagnosed that the tires were not leaking air. They recommended replacing the wheels due to corrosion on the rims. This is an alternative, but in many cases there are much less expensive options that deliver the same outcome. I couldn’t believe that after spending a fortune on four new truck tires that the chain store wanted me to spend nearly twice that much to replace the wheels. Their argument was that the corrosion on the rims was sealed to my old tires, but removing them left gaps and the only solution was to buy new wheels. I mentioned this at C.A.R.S. when they were changing my oil (I had erred big time in my failure to think of C.A.R.S. for tires). Andrew suggested that I have you apply a sealant to the wheel and remount the tires. I had you do the two that I knew were leaking. That fixed it. Just in case, on my next visit, I had you do the remaining two tires. I haven’t had a problem at all. I spent less than a quarter of the cost of one wheel to seal all four. I know where my next tires are coming from. The wheel and tire experts at C.A.R.S. will give you all of the options, not just the most profitable for us. We built our tire business on the same level of expertise and integrity that we apply to all of our services. We are looking to keep you safe and secure first. We know if we take care of you with the best advice, that will take care of our business. If you are concerned about how the tires are wearing on your vehicle, contact C.A.R.S. Auto Repair Service to schedule an appointment.